On Tuesday evening the residents of Wayville met at the Wayville Institute to pay tribute to the young men of the district who have gone to the front. 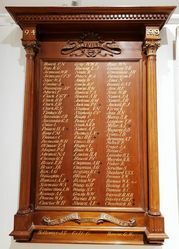 A handsome roll of honour containing 80 names, was unveiled by the Mayor of Unley (Mr. W. N. Parsons) in the presence of a crowded audience. The Hon. A.H. Peake. M.P. presided. The district, he said, had contributed its quota to the fighting forces of the country, and there would be no question about the fact that the men they had sent had covered themselves with glory. Some of them had made the supreme sacrifice. 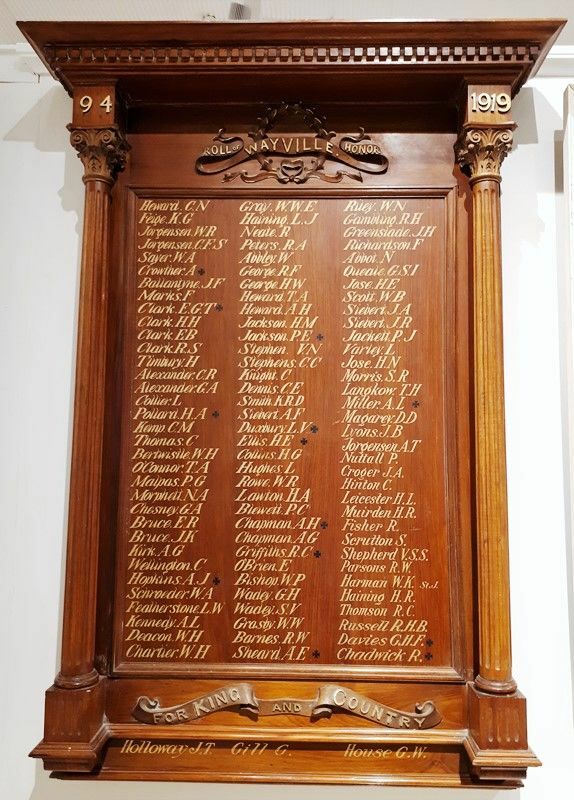 In unveiling the honour roll, the Mayor stated that it was owing to the initial efforts of the trustees of the institute, who had appointed a committee to carry out the work, that they were there that night to do honour to the boys who had gone from Wayville. The roll would not only be an inspiration to many to join their comrades in the fight for justice and truth, but it would be a memorial in future years of the part the young men of the district had played in tthis great struggle. After the unveiling the audience stood in silent reverence and afterwards sang the National Anthem. The Register (Adelaide), 5 April 1917.